The Wheat Data Interoperability Working Group (WDI) was created within the framework of the Research Data Alliance (RDA).The RDA is a global initiative that aims to foster the open sharing of data across technologies, disciplines, and countries to address society’s major challenges.The WDI's goal is to provide a common, open standard framework for describing, representing, linking, and publishing wheat data. The working group interacts with the Wheat IS experts and other plant projects such as TransPLANT, agINFRA which are built on standard technologies for data exchange and representation. In its formation the WDI sought to meet the needs of the Wheat Initiative Information System (WheatIS) in terms of functionality and data types by identifying relevant use cases and producing Wheat Data Interoperability Guidelines. In this newsletter we review the case for establishing the Wheat Data Interoperability Guidelines, which will promote and sustain wheat data sharing, reusability, and interoperability. In pursuant to this work, a survey was conducted from April 7 to June 3, 2014 to identify existing data management practices within the wheat community. The preliminary analyis reveals that (i) most respondents currently store their data on local drives about 50% of the respondents have not yet established data management guidelines (ii),majority of the respondents see penotypes, SNPs, genomic annotations, germplasm, genetic maps, and physical maps important in the next five years. (iii) In addition to using a variety of data types, the wheat community also employs a wide range of data formats (standardized and unstandardized ) and (iv) the use of ontologies (only 49% use ontologies) and metadata standards (23% use) is not common. The detailed report is available here. United States. Fifth Annual VIVO Conference. 29th of July 2014 at 16:00 hrs Rome Time -Título del seminario online; Confederación de Repositorios de Acceso Abierto (COAR).El webinar presentará la Confederación de Repositorios de Acceso Abierto (COAR), una asociación internacional sin fines de lucro que tiene como objetivo promover mayor visibilidad y aplicación de los resultados de la investigación a través de las redes globales de repositorios digitales de acceso abierto.Ponete -Josefina Siguencia (Cuenca-Ecuador y representante de COAR en Ecuador). What is Data Mining? A class of database applications that look for hidden patterns in a group of data that can be used to predict future behavior. For example, data mining software can help retail companies find customers with common interests. The term is commonly misused to describe software that presents data in new ways. True data mining software doesn't just change the presentation, but actually discovers previously unknown relationships among the data. 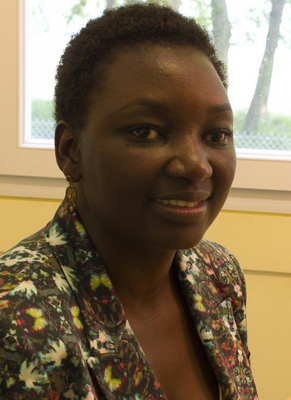 Esther DZAKE YEUMO works for the French National Institute for Agricultural Research (INRA) as a senior project manager. She is involved in the Research Data Alliance (RDA) and has thus joined a community of scientists who wish to make agricultural data, information, and knowledge more accessible. Read the interview " Researchers are asked to respond to challenge (s) of feeding the world to confront these, scientist need data.." found in the AIMS Interviews section.